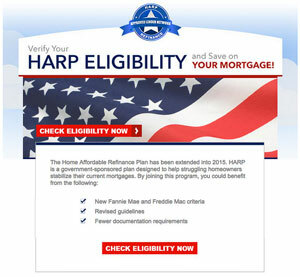 Want to know whether you are eligible to refinance under HARP? Home / Blog / Refinance / Want to know whether you are eligible to refinance under HARP? Photo Credit: Love Art Nouveau/Flickr/CC. You could save a great deal of money by refinancing under HARP, if you are eligible. Especially since the rules have been changed, more people qualify for HARP than under previous rules. Your mortgage must be owned or guaranteed by Freddie Mac. Visit our secure Loan Look-up Tool to see if Freddie Mac owns your loan. The note date on your mortgage must be on or before May 31, 2009. If Freddie Mac does own your mortgage, the Loan Look-up Tool will tell you this date if you are unsure. You must be current on the mortgage at the time of the refinance, with no 30-day+ late payments in the last six months and no more than one in the past 12 months. Visit the interactive tool to see if you may be eligible for HARP. It is important that you reach out to your lender to discuss your eligibility for the program. In addition to Freddie Mac’s HARP requirements, lenders participating in the program may have additional requirements that you must meet in order to be eligible. If you are considering refinancing your home, please would appreciate the opportunity of showing you your refinancing options. Please contact us at your earliest convenience.